Forecast was showers and blustery winds for the afternoon – at least “April showers” is normal weather for the time of year. Timing somewhat out as within a couple of miles from leaving homes I encountered my first shower. Arrived at the club shortly after a heavy shower had passed through there. Given the uncertainty of the weather we cracked on with jobs. 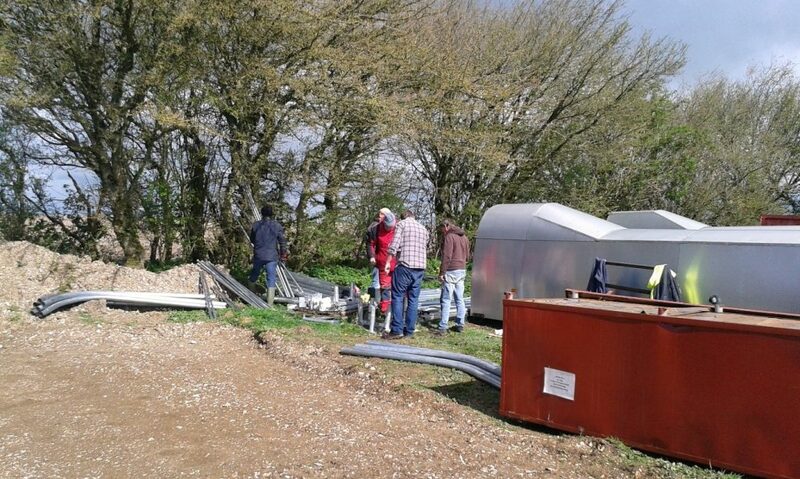 One group got on with unpacking and checking all pieces there for the meccano kit that makes the new winch shelter, another group derigged the poor battered Puchacz and Trevor fettling the new launch point vehicle. No more showers so we pulled out the winch, Puchacz and K13. Away from the hangar/clubhouse area it was decidedly blustery so I did a weather check. Good launch to 1,500′ in the Puchacz despite the almost due west wind. The edge of a shower had got to the airfield by the time I came in to land – one of the more lively landings that I have experienced. Took the Puchacz straight back to the hangar. On chatting with Ken R he observed that the conditions were noticeably worse just after my launch. As there was a cable and glider at the launch point I invited him to provide a second opinion. Observing his landing it was clear that things had calmed down (enough). 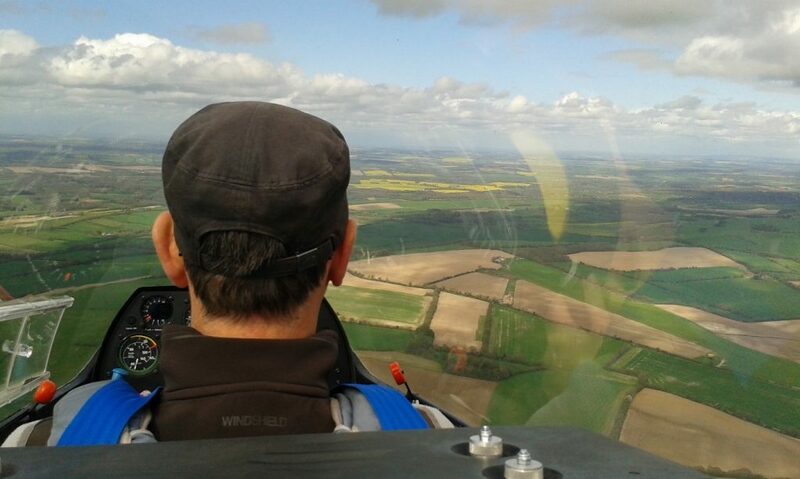 So, we carried on flying but with the restriction of either myself or Ken in the back seat providing extra ballast.